It's lighter and smaller than the stock portable EVSE, most importantly: it now fits in the glove box! I did this by designing a custom controller board that fits inside an Aliexpress-sourced Duosida SAE J1772 plug. It was a proper struggle to get it all in. Nonetheless this was successful, and I've used the cable for three full charges of my range-extended 2011 Leaf, meaning it's been hanging on in freezing temperatures and ice rain for at least 24 hours. I call that a win. The cable is NOT SAE J1772 COMPLIANT. Let me just be up-front and clear about this. It will fail any sniff test, as the mains plug is more than 30cm from the EVSE control electronics. As I find this stipulation in the rules stupid, I ignored it. Otherwise, it complies with the entire charging standard; it has a GFI safety feature, it switches both live and neutral, the relays are rated over industrial temperature range for the full current, the EVSE electronics are galvanically isolated and the EVSE will latch off on car and EVSE errors. 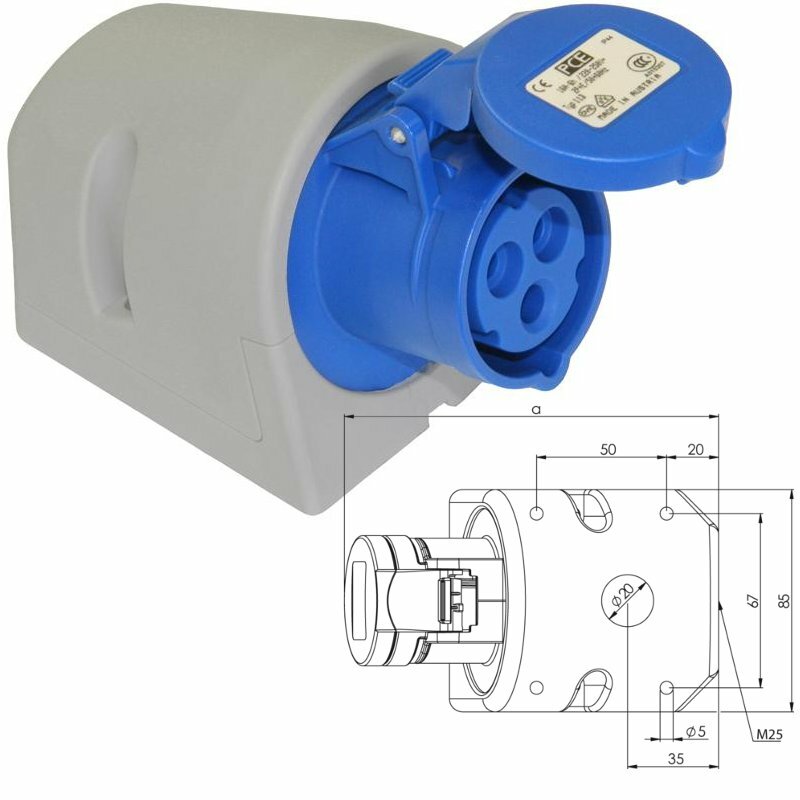 As the connector is not IP-rated, the electronics are conformally coated inside. I should probably pot the electronics. I don't think this is viable as a commercial project. I already had to spend about €100 to make this one, which means that if I were to include workmanship and sell the thing, it'd basically be the same price as any other portable EVSE, but then very low volume and made by some schmuck on the internet who barely gives warranty. I wouldn't trust me with that. Nevertheless, if there is enough interest to warrant the time investment, I might try to do a revision and make a couple boards for people to tinker with. Not sure how many people still use granny chargers. Also: I realize that this is a bit Eurocentric; this lead really only has any right to exist on 208/240V. I'm in the Netherlands, all our outlets are 240. So yeah, that makes it a lot less useful in NA. I'm aware of that. Do you mean the gauge of the wires in the EVSE or in the car? Obviously, as stated above, this project does not meet the requirements of J1772. But, if you want a US source for this plug, we have them, however we want to be clear that we neither warrant, nor approve, of this type of a project. Injury, fire or death could result from misuse of electricity. Consult with a qualified electrician or engineer prior to handling electricity. I wish I had your expertise. mux wrote: Do you mean the gauge of the wires in the EVSE or in the car? The J1772 cable and power cable to the EVSE from the wall socket, not sure the gauge of wiring used in the car but as my car can charge up to 27.5a it would have to be at least 10 gauge(5.26mm2). I did a bit the same thing last summer. I put the "controlboard" in a waterproof box and used some harting plug to be able to change the cords and the plugs. Most of what I used comes from recycling old industrial part. At the end, I bought 2 caps for harting plugs, the J1772 plug and the control board. Max current is 25A because of the relay I used. This is idiot proof too! When you change the plug, the EVSE will regulate according to the plug connected. A coding resistor in connected to the harting plug to limit the current. For example (I'm in France, so 230V/400V) if I connect the regular house plug, It offers the the possibility to charge 8, 10 or 14A (with clear markings where to use what) via a little switch. If I plug the small camping plug to the box, it will deliver 16A to the car. If I plug the big camping plug to the box, it will deliver 25A to the car. I have plugs for regular house plug, the 2 king camping plugs (16 and 32A) and 3 phases plugs (16 and 32A) because I have it at home and some friends too plus I work in the industry so even if I used only 1phase and neutral it is very usefull. I will try to take more pictures to explain better. May need to say that, I know what I do, I am certified for electrical work. Awesome and fancy. But I would rather have it "less fancy" and more awesome. to switch between 10A, 13A and 16A. That box should be as big as cigarette pack. if there is any significant price drop or the cable diameter drops significantly (portable). Well, for the price it cost at the end, I can't complain. And I can charge on any (or almost) European plug! If the relays are not at the mains side (not just the length) it defeats one of the main safety principals of the EVSE, to cut the power at the source side so there is no live power on the line to the car when charging stops or during other other events, there are other issues I can see that are pretty much a potential safety hazard as well. Just like any other safety device I suppose you can make it smaller and unsafe, like stripping the insulation off an extension cord and wrapping it with scotch take to save space. This unsafe design was already done and sold in the EU a long time ago and never sold here for that reason.